Learn more about the Co-Labs we are a part of and the custom skis we've built. Got an idea, let us know. We'll work with you to get it on the slopes. Totem Pole Ski Shop is a well know shop located down the road from the entrance to Okemo Mountain in Ludow, VT. Opened in 1967, Vermont's oldest family owned and operated ski shop is renowned in the industry for their knowledge, technology, service and dedication to the advancement of the sport.  Owner Ken, his son Torin and dedicated long time employees John and Brain have been an enormous help in the development of the Facet Ski Co. They've embraced and supported our passion, helped guide us though product advancements and refined our skills and knowledge as manufactures. 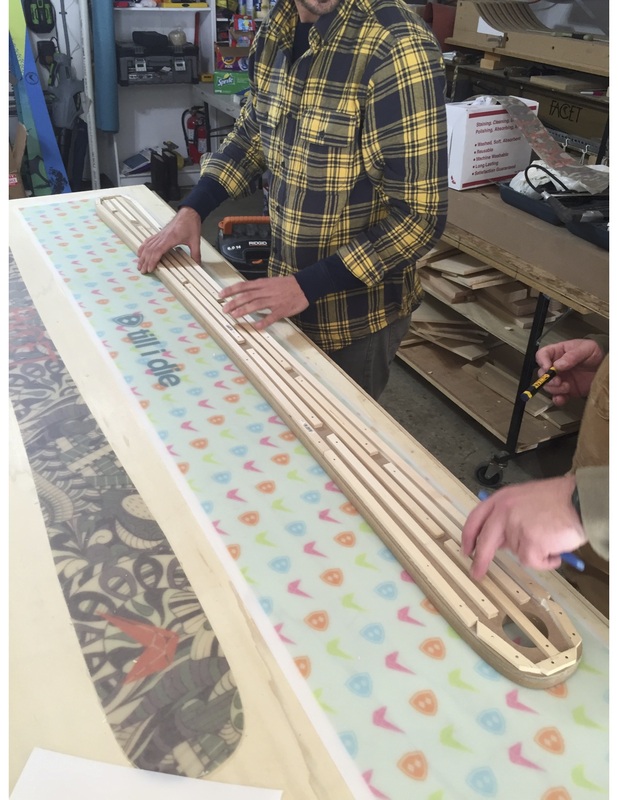 Our Co-Lab project with Totem Pole came after we had finished a custom build of the Ski Block ski for Totem Pole employee and Facet Team Rider, John. Where the story of John's ski ends this project picks up. Its rumored that after we dropped off John's new sticks and they were waiting to get snow under them, Ken walked by and murmured "Now that looks like a ski i could ride on." Torin, John and Brian later approached us with the idea of building a ski for Ken for his upcoming birthday. We spoke with John for his thoughts on a replica model of his custom ski, to which he happily responded "He's the BOSS, He gets what he wants," a few weeks later we were happy to present to Totem Pole a surprise birthday present for their fearless leader. You can find Totem Pole Ski Shop at www.totempoleskiandboard.com and be sure to check out their Instagram feed @totem_pole_steeze. The Timmer's Way Ski is an ongoing collaboration that we love working on. In 2008, Timmer Wood lost his life in a drunk driving hit and run while on vacation. 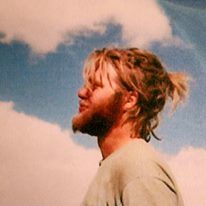 Whether he was racing down the mountain or swinging his trusty hammer for the families construction business, Timmer was a fun loving free spirit who with a passion for music, friends and good times. 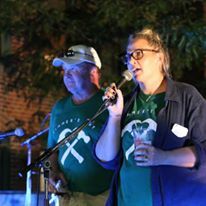 Each year the Wood family hosts the Timmer's Way Music Festival in his honor. 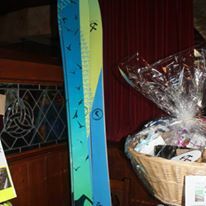 In 2013, the Wood family approached us with the idea of creating a ski for the annual silent auction to commemorate Timmer's love for skiing and we couldn't have been more happy to participate. We thought the Timmer's Way crossed hammers and the image of Timmer that the family uses for the Music Festival would be a great artisticimage for the ski. 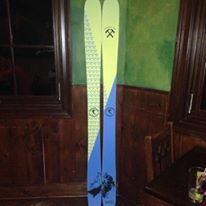 Each year we proudly present the winning silent auction bid with a pair of skis and allow them to choose, the current years graphic, a custom graphic or the Timmer's Way graphic. So if you happen to run across someone with the Timmer's Way graphic on their skis, befriend them, you'll be in good company. 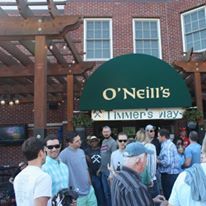 If your in the area or interested in joining a wonderful event to a great cause, we encourage you to stop by the Timmer's Way Music Festival and celebrate the life of Timmer in an expression of his passion for music, friends and a good time. The event is typicallyheld Mid-September at O'Neils Irish Pub in South Norwalk, CT. You can learn more about the event on their webpage www.timmerway.com or their Facebook page @timmersway. What do you do when the East Coast puts forth the most miserable winter conditions on record, as it did for the 2015/16 season? Well, what we did was to hook up with the Till I Die crew, a start up ski apparel company sporting a retro look, vintage feel, die hard attitude. Till I Die put out a social media post suggesting its followers meet up for an on mountain Pub Crawl. We had heard about these guys through a mutual friend, heeded the call and decided to go check it out. There was no missing this highlighter clad, retro design group and immediately we knew we found a people with whom we could associate. They came to ski, they stayed to party. We had such fun with them the first day that we joined up with the Till I Die crew a few weeks later for the Bear Mountain Mogul Challenge at Killington. A mogul competition, live music, general buffoonery, and an intense match up of Gelande Quaffing can only lead to one thing, Co-Lab. Over the course of the summer we had Till I Die to the shop for some brainstorming, the result of which we are extremely happy. We're making some limited edition skis featuring both the Facet Logo and the Till I Die theme and logos. We also plan to host an event with Till I Die where the top prize will be on of these works of art. Be sure to check out Till I Die at http://www.tillidie.co and follow their Instagram @tillidieofficial.